Her delight in the journey upon one of the first steam ships to cross the Atlantic, however, becomes one of unexpected hardship and tragedy. Despite her loss, she becomes determined to complete her quest, lest the loss be for nothing. 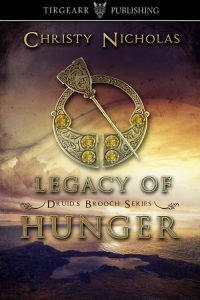 After the harrowing crossing, she arrives to find Ireland is wracked by a crippling potato blight, sweeping the land with tragedy and death. Not knowing whether they’ve even survived, Valencia presses on in search of her lost family. Traveling along the west coast of Ireland, Valentia finds implacable enemies and an impossible love, but also sweet delights and a small bit of true faerie magic. The heritage she finds is richer than she had ever imagined as well, but it comes with an unexpected cost. If she makes the wrong choice, the price will be paid by the ones she loves most.